Marinade the chicken wings with the fish sauce and ground cumin. Leave in the fridge to marinate for at least 1 hour. Heat the oil in a deep fat fryer or in a deep saucepan. You can test oil with the end of a wooden chopstick; if it sizzles it’s hot enough for frying. 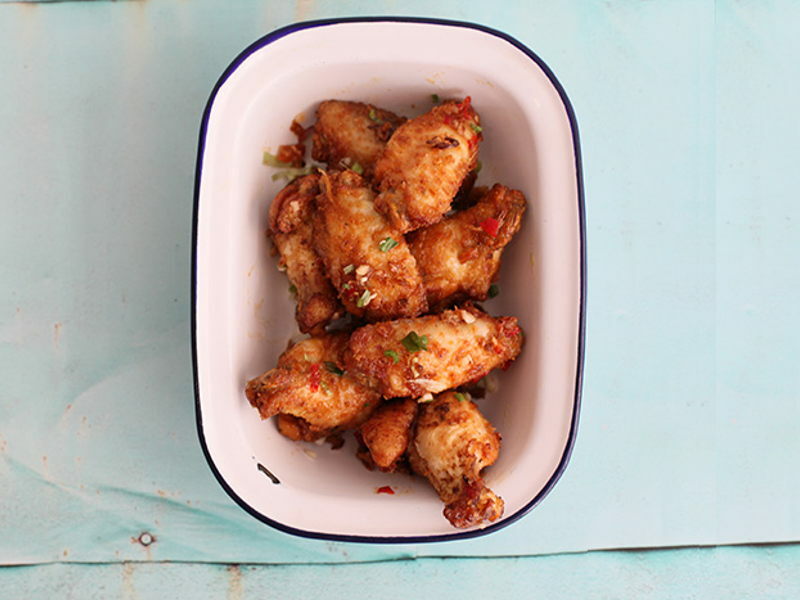 Fry the chicken wings until golden brown and cooked through, approx 5 minutes. Depending on the size of your fryer or saucepan, this will likely require frying in 2-3 batches for a golden crispy skin. Drain on kitchen paper then serve on a plate and garnish with fried shallots, fresh coriander and chilli if desired.